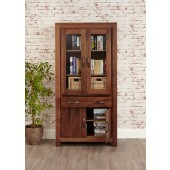 This Shabby Chic Bookcase with drawers will look wonderful in any dining room, living room or office space; it would even suite a bedroom! 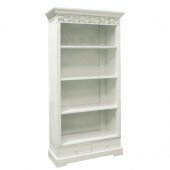 This luxurious White Painted item from our Shabby Chic range has plenty of space including two drawers which means you can house everything from photos, books or ornaments, to your toys. 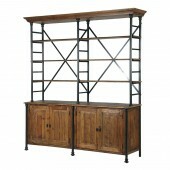 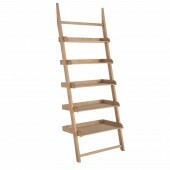 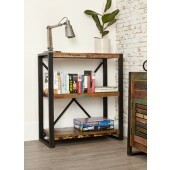 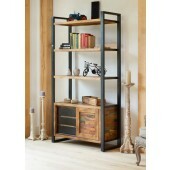 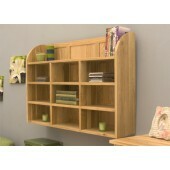 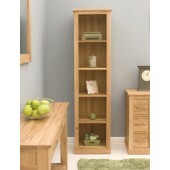 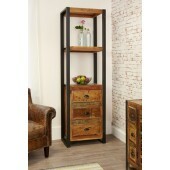 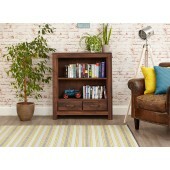 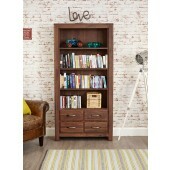 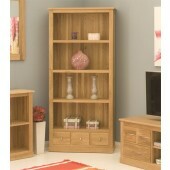 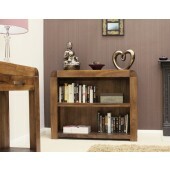 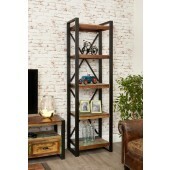 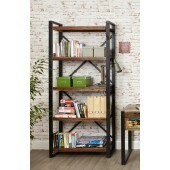 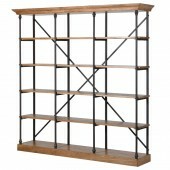 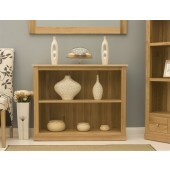 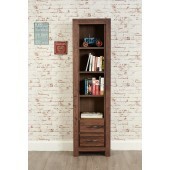 With a lightly distressed finish it enhances the homely lived with feel and gives this Bookcase with Drawers real character. 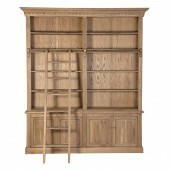 The French style along with its ornamental fretwork detail lends itself to either traditional or contemporary. 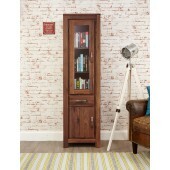 If you want to have an eye-catching piece of furniture then this Shabby Chic Bookcase with Drawers would be a welcome addition to your home.